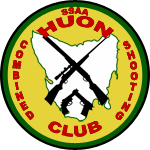 Since the club is SSAA affiliated, membership of SSAA is compulsory. If you are not already a member of SSAA, go to this link and complete the form. Where it says “Preferred Branch/Club”, choose “HUON COMBINED SHOOTING CL”. If you need to renew your SSAA membership, go to this link. Being a SSAA member, you are now eligible to join the club. The Huon club membership form is here. Download this, complete it and submit (hand to the RO at the range, or post to the address on the top of the form) with the $20 non-refundable application fee. If you are not already known by members of the club, please also submit two (2) written references from people who have known you for at least three (3) years. As well, you will need to download the Approval to Exchange Information form, complete your section, and include it with your application for membership. Your application will be reviewed at the next committee meeting – on acceptance, you will receive a request for club fees for the balance of the club year. On payment of this, you will receive a club membership card.